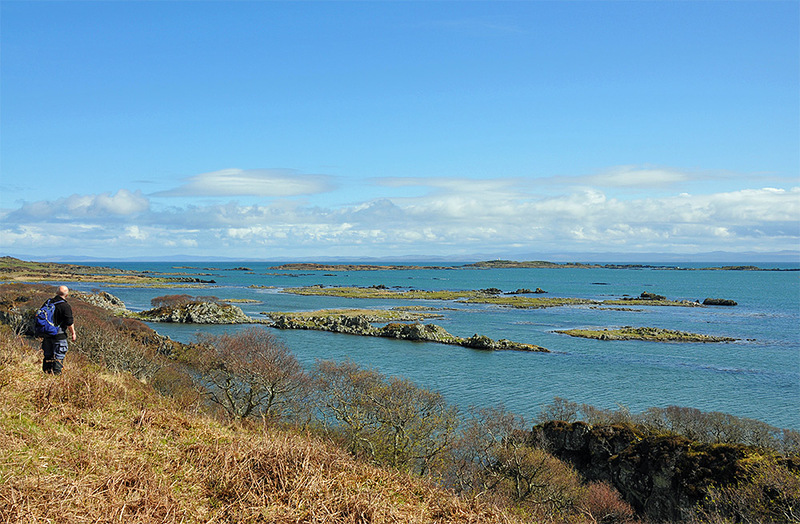 A beautiful view at the south coast of Islay, a view over the Southern Skerries. Dozens of small islands and rocky outcrops are dotted around this part of the coast. In the distance the mainland can also be seen. This picture is from a walk during the Islay walking week a few years ago. This entry was posted in Landscape, Repost, Sunny Weather and tagged Eilean a Chuirn, Islay, Southern Skerries by Armin Grewe. Bookmark the permalink.